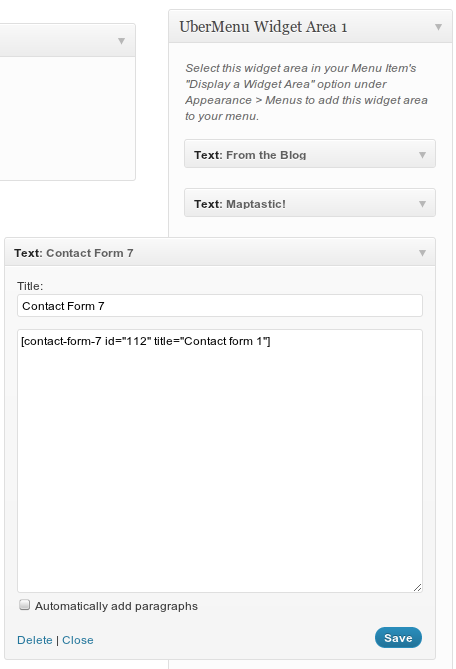 Adding Contact Form 7 to your menu via a widget. Contact forms can be added using Contact Form 7. Just paste the shortcode provided into either a Content Override box or a Text Widget. You will almost certainly want to add this to a second level menu item in order to make it appear in your submenu.